A timely and important new book that challenges everything we think we know about cultivating true belonging in our communities, organizations, and culture, from the #1 bestselling author of Rising Strong, Daring Greatly, and The Gifts of Imperfection. `True belonging doesn't require us to change who we are. It requires us to be who we are.' Social scientist Brene Brown, PhD, LMSW has sparked a global conversation about the experiences that bring meaning to our lives - experiences of courage, vulnerability, love, belonging, shame and empathy. 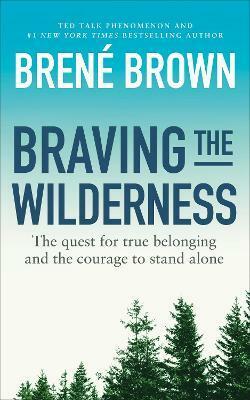 In Braving the Wilderness, Brown redefines what it means to truly belong in an age of increased polarisation. With her trademark mix of research, storytelling and honesty, Brown will again change the cultural conversation while mapping out a clear path to true belonging. "Stories, beautifully told, of learning to belong because you know, enjoy, admire, and forgive yourself."